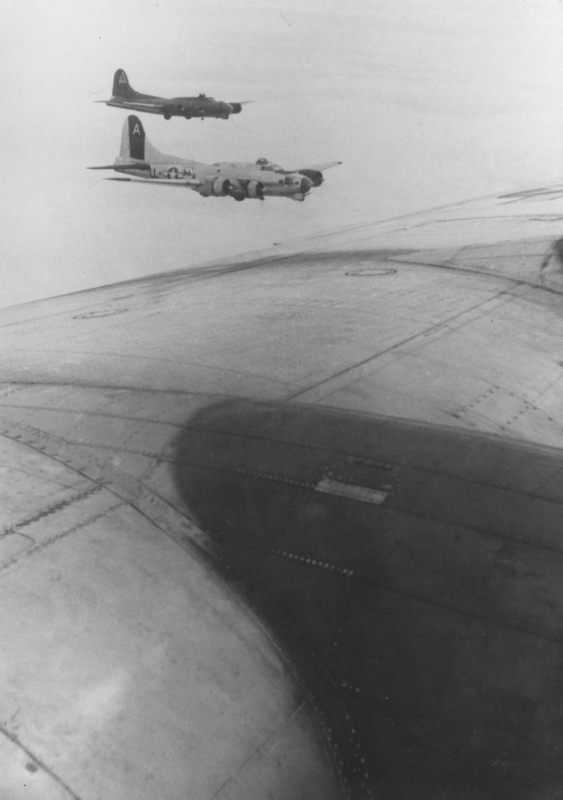 Two B-17Gs of the 91st BG, both most likely assigned to the 401st Bomb Squadron. The foreground ship's radio call number is illegible, but her call letters are LL-A. B-17 Flying Fortresses of the 91st Bomb Group fly in formation. RAGGED IRREGULARS OF BASSINGBOURN by Marion Havelaar & William Hess.